The key quote in this video is definitely Jeremy Renner's comparison to The Avengers: Age of Ultron set to summer camp. It's noted that the film allowed the ensemble cast a lot more time to hang out as an actual group, and evidently all of them get along spectacularly well. Throughout this video we see multiple examples of the gang hanging out and laughing, clearly enjoying the fact that they are getting paid millions of dollars to play pretend. Honestly, going through screengrabs is like looking at photos from a fun summer away from home. 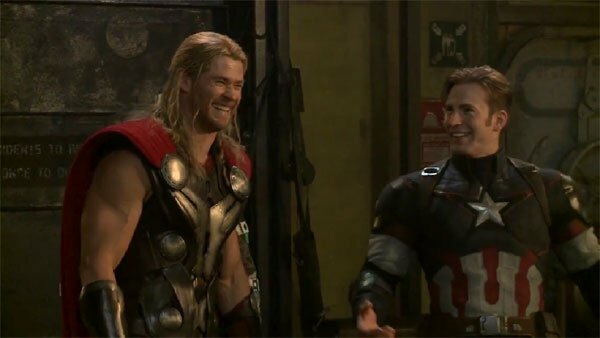 Remember that time Chris Hemsworth couldn't stop giggling while doing a scene in a bunker with Chris Evans? Or that time Mark Ruffalo cracked everyone up while sorting through files? Or what about when Chris Hemsworth was dragging Scarlett Johansson and Chris Evans around the Avengers Tower set? Of course, it's not summer camp without the counselors, and from this video it's very clear that role on the Avengers: Age of Ultron set was played by Joss Whedon. I'm sure he had plenty of fun, as he's basically a kid playing with all of the best living action figures, but it's obviously also a rather exasperating chore at times, as demonstrated by the full face palm he does while filming the Avengers party scene. 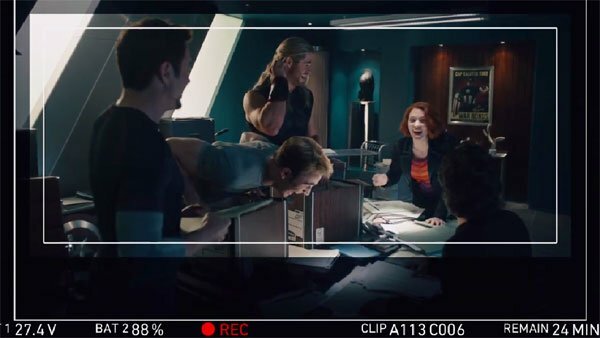 With any luck, the amount of fun the actors and filmmakers had while making The Avengers: Age of Ultron will translate directly to the big screen, and the result will be the epic blockbuster we're all hoping it will be. We'll just have to wait and see when the movie arrives in theaters on May 1st.